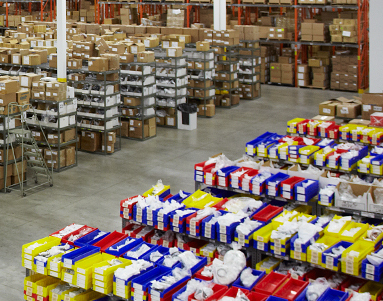 J Royal offers thousands of products and millions of different parts, that often can ship out the same day as being ordered. Through Vendor Managed Inventory (VMI) we are able to maintain stock levels in our warehouse to assure we have the desired parts on hand to meet an order. With J Royal maintaining stock, this allows you to reduce costs by lowering in-process/stock related material costs.